Chaos is the debut novel of David Meyer. New York City, 1976: Heavily-armed, masked men hijack a subway train...and its deadly cargo. David Meyer is a treasure hunting adventurist who loves to study ancient mysteries and lost lands. He has taken his passion and turned it into the basis of his first thriller. 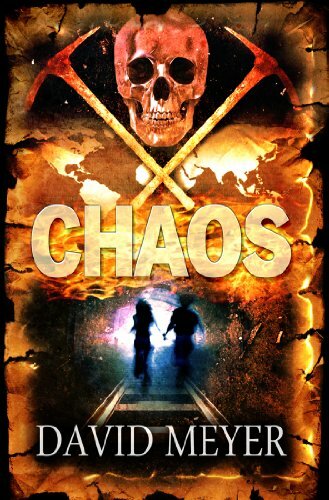 Chaos follows Cyclone, an urban archaeologist, into the underground tunnels of Manhattan. The tunnels (and the man eating beast!) reminded me a lot of Preston and Child's Reliquary. Good times. Cyclone is searching for a Nazi secret weapon that was hidden away decades ago. He must find this device before it winds up in the wrong hands. Of course the wrong hands are right on Cyclone's tail. 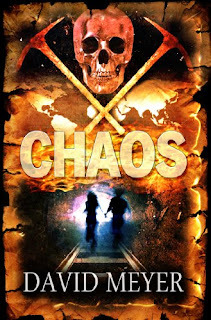 If you're like me and you love watching shows like Ancient Aliens on the History Channel, Chaos is right up your alley. It's based on some really cool mysteries and science but mixed in with bad guys and monsters. You can check out more about Chaos and the mysteries behind it at David Meyer's fantastic blog Guerrilla Explorer. Thanks for reading it Jen...I'm glad you're enjoying the blog! Oooh I'm totally picturing Indianna Jones right now!!! Could be because of the word 'archeologist' though!!! Sound awesome chick!! !